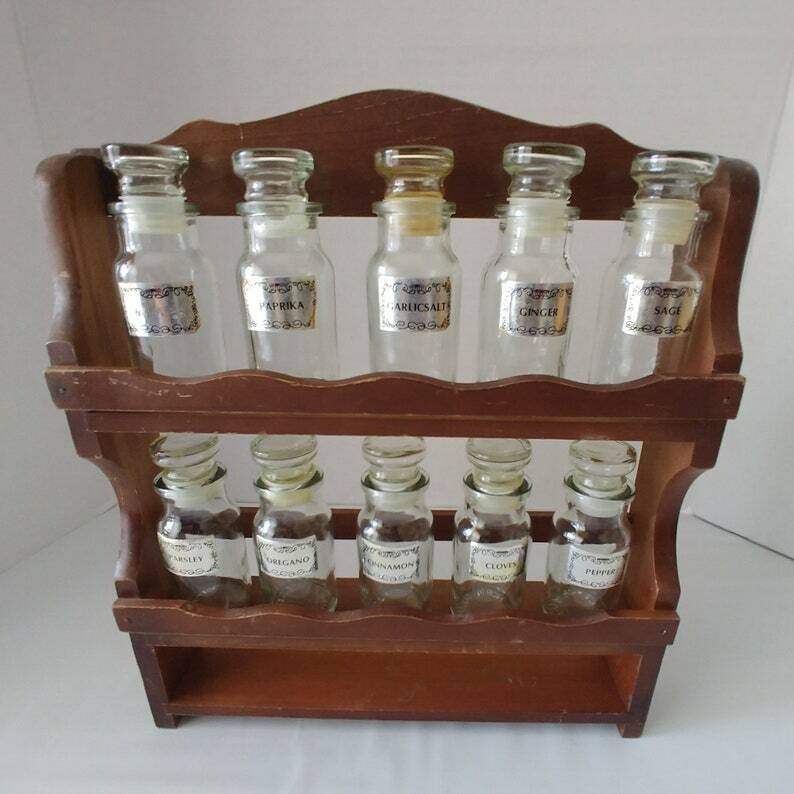 This set of 12 vintage apothecary bottles are designed to be displayed on the scalloped wooden rack. The labeled clear glass bottles are designed to hold spices. Each bottle is 4 inches tall and has an easy-close flat top stopper. The rack can stand on your countertop or be hung on your wall. It is 13.5 inches tall by 11.5 inches wide. Each shelf is 2 inches deep. The labels are silver with the words and borders printed in black. CONDITION: All of the bottles are unbroken. The garlic salt bottle top is stained. Some of the labels show minor wear on their edges and there are scratches on the rack.